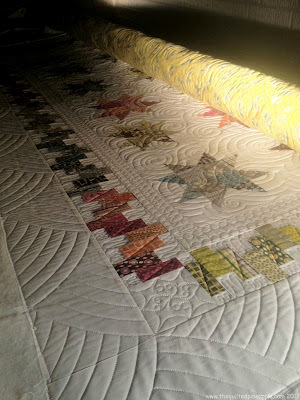 Wonderful quilting!! Love all the different border patterns, just beautiful! Pretty quilt, wonderful quilting. I especially like what you did in the outer border. Reminds me of Baptist Fan. 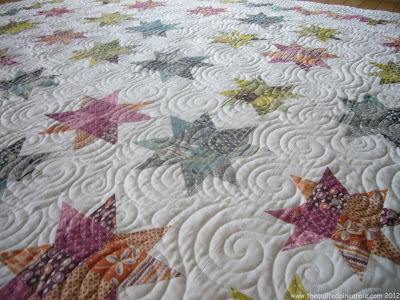 The curved border design looks fantastic on this quilt and the swirls on the stars give it amazing texture, love it all! The quilting on Bounce is amazing, Linda! Way to go! 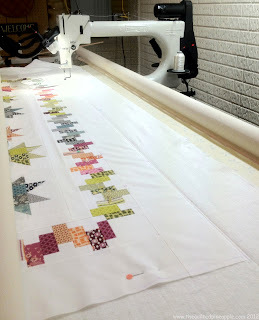 When I heard you quilted this I couldn't wait to come over and see what you have done. WOW!!!!! Another amazing job. You were born to quilt my friend. 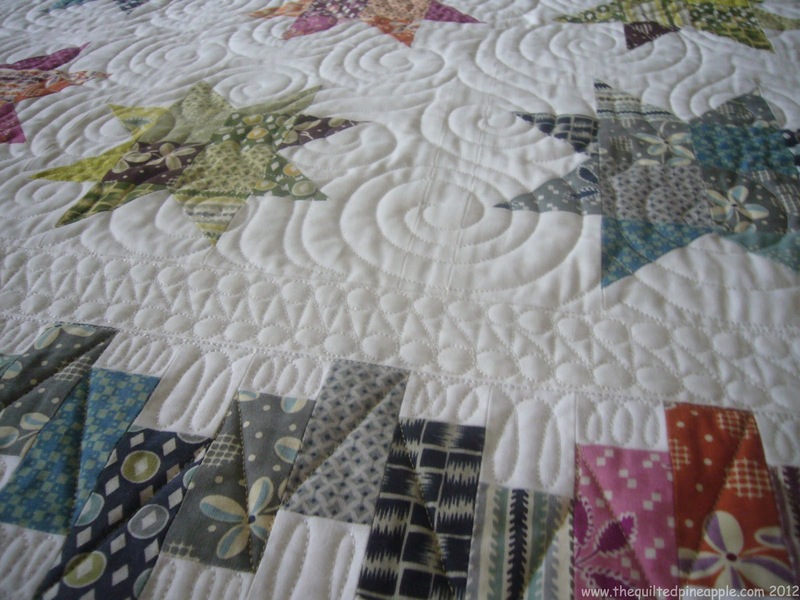 Lovely quilt and quilting!! 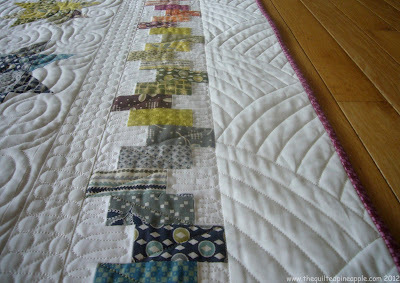 I especially love the border quilting as it is so effective! The quilting really makes the quilt, love the designs you did on this piece. Your quilting is so amazing!! I love all the detail in the border. Beautiful!! Beautiful quilting and a gorgeous quilt! Another triumph! I don't know how on earth you come up with all your wonderful designs but I haven't seen one I don't absolutely love! I have been so excited to see this finished! I saw a teeny bit of it and have been waiting to see the whole pattern. And I have to say it was worth the wait. 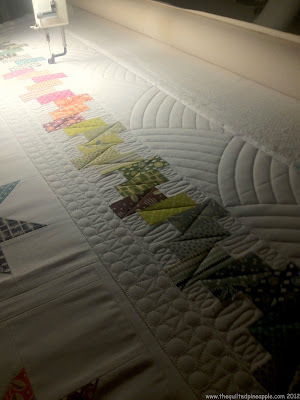 I am in LOVE with this quilt and the quilting is just icing on the cake. The quilt is gorgeous Linda. Absolutely stunning!!!!!!!!!!!!!!!! Your quilting is amazing. I love how you did the border. Was it hard? I want to try that. I have the boomerang ruler from Deloa Jones. I love your swirls too in the center. So lovely! A huge thank you to YOU! The quilting is gorgeous and it was such a treat getting to open the box. 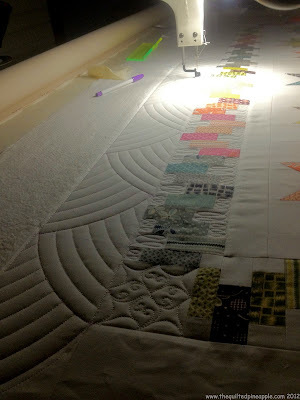 I love the choices you made for everything - they perfectly suited the open space and the "feel" of the quilt. So again, thank you! Seriously, picking this quilt for the cover was a total no-brainer. 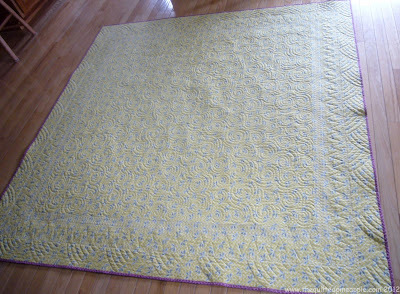 Another amazing quilting job! Applause, applause. That pattern looks really nice too. I'm going to check it out. Прекрасный квилт! Бордюр очень оригинальный! I just saw this on Thelma's blog, and I had to see your work, too. You did an amazing job, too . . . as usual. Love, love, love to see your work, Linda. Wow Wow Wow. The design, the fabric, the piecing, the quilting. It is all WOW, WOW, WOW. Your amazing talent really shines on this quilt, Linda! How absolutely cool to quilt for Thelma and Carrie! That is amazing!! You did a wonderful job as usual!! I love that!! 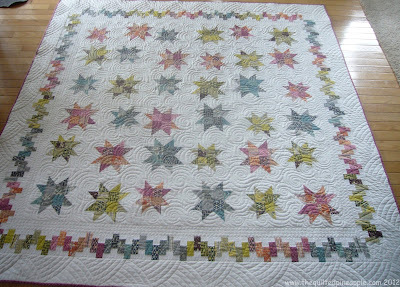 Stunning...WOW, WOW, WOW...luv the border, the quilting is amazing, great job!!! Your quilting really makes this quilt fabulous!!! I just love it!! Congrats on getting the cover! You are just going to town, girlfriend. I told you you were talented! 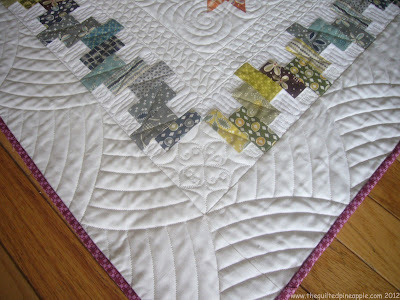 I love, love, love the quilting you did on this one! Oh it is BEAUTIFUL! 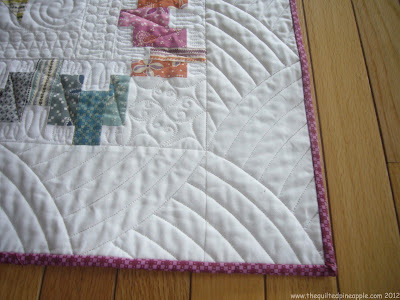 And I love how you quilted it! Wow! 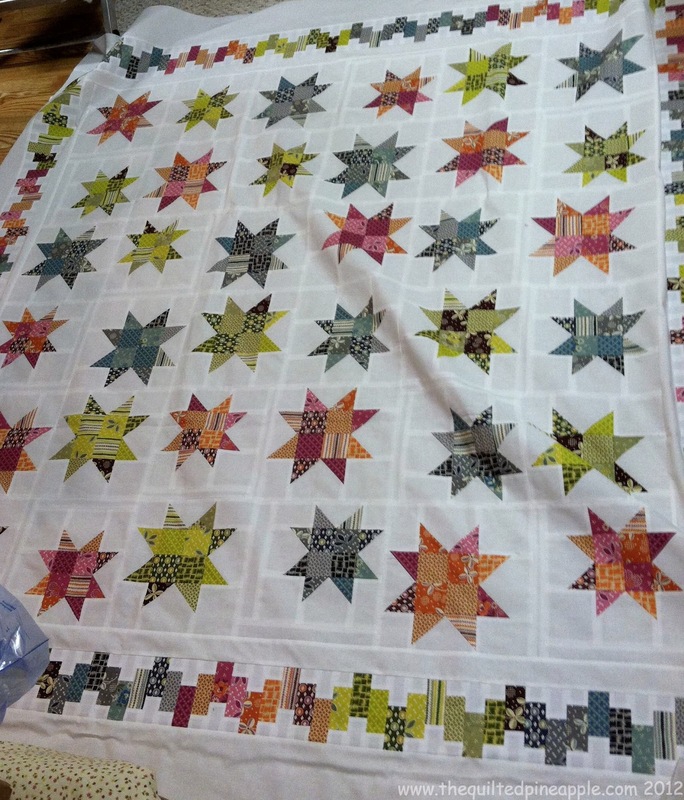 You did such a great job quilting this beautiful quilt!